True geeks are never without a holster full of gadgets, but this lifestyle begins to get problematic when away from power sources for long periods of time. 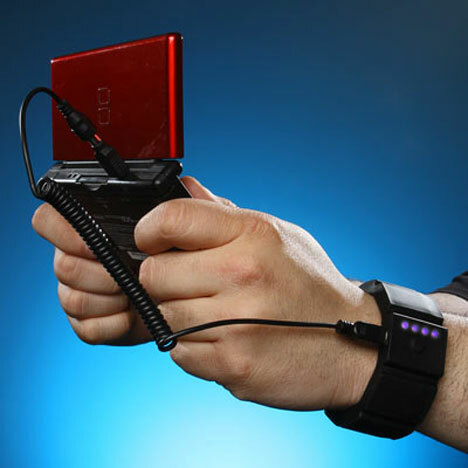 ThinkGeek offers a solution with this outstanding little device that gives you power no matter where you are. 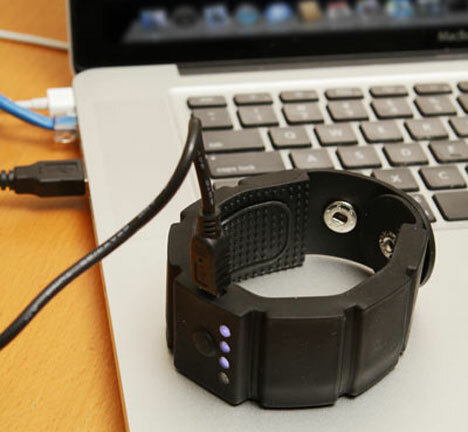 The Universal Gadget Wrist Charger powers any device that is compatible with mini USB. 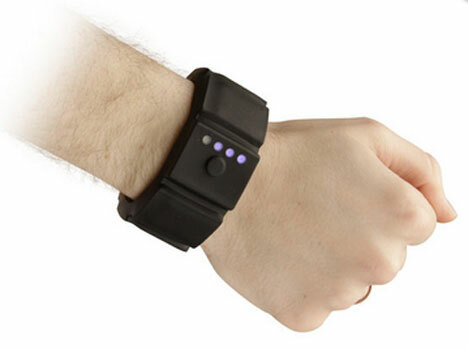 Before you leave home, you charge up the charger’s battery and strap it onto your wrist. And when you’re out taking care of business (or waiting in line for tickets to the newest nerd flick) and your iPod, phone or handheld game starts losing juice, you’ve got a backup power source right there. The amount of power that can be pumped from your wrist battery to your flailing gadget varies from one gadget to the next. It comes with all kinds of connectors to provide emergency power for a variety of electronics. For around $35, you can get a lot of extra text messages, slingshot-slung birds or goomba stomps. See more in Various Gizmos or under Gadgets. February, 2011.